With Joan branching out as a consulting detective in her own right, Elementary has opened the door to enabling more than a single mystery within a single episode. Although not as clearly divided as a show like CSI: (which almost always involves two or three cases at a given time), “Déjà Vu All Over Again” seeks to formalize an informal storytelling strategy we saw in earlier episodes. While Joan’s stories were often framed as secondary mysteries, like her married suitor, now, her training could theoretically allow her to handle more substantial mysteries on her own. As “Déjà Vu All Over Again” unfolds, Sherlock sends Joan to handle a missing person case while deciding to track down a subway pusher still roaming the streets of New York City, and I will admit to being somewhat apprehensive. 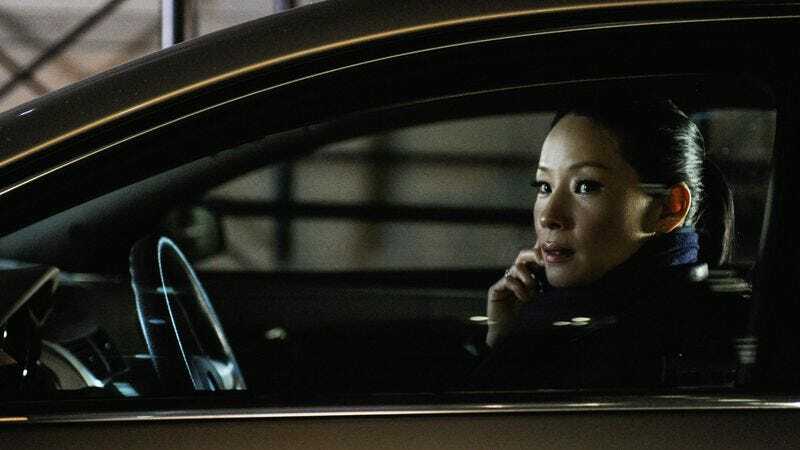 While I have found Lucy Liu’s performance to be consistently strong all season, many of the show’s best moments have come from the interaction between the two leads, something that would be lost if their storylines diverged. As the episode progressed, however, it became clear that Elementary isn’t actually willing to separate the two characters, at least not yet. Although Joan gets a mystery of her own, the episode builds in both periodic points of connection and a convoluted conclusion to ensure that the two characters are never too far apart, narratively speaking. There was some discussion in previous weeks about Joan’s new position, and the degree to which it places Sherlock as her “boss” more than her partner. Their relationship is built on a struggle of power, of Sherlock’s unwillingness to give it up and Watson’s ability to keep it despite his reluctance during her time as his sober companion. And yet now Watson is the apprentice searching for guidance, and Sherlock has the power of knowledge and experience with which he plans to guide her. There’s always the concern of Watson seeming like a sidekick, an afterthought whose professional and personal identity is swallowed up in her debt to Sherlock’s intellect. What I like about “Déjà Vu All Over Again” is how it manages to indulge in Watson’s inferiority while elevating the character within the narrative as a whole. On the one hand, Watson spends most of the episode playing at hunches and then following up with Sherlock, who literally bails her out after a vehicular break-in goes awry. In the end, she only solves her case when it converges with Sherlock’s, and after he spends a fair deal of time laying out the logic of the case in front of her. Although the episode tests the waters for Joan solving a case on her own, the fact is that she’s only able to solve it when she has someone to work with, someone who helps her cycle through ideas. She certainly contributes to the solution, actively participating in the interrogation of the subway pusher who also happened to be the husband who murdered Watson’s missing person, but it’s only possible once Sherlock’s case converges with her own and the team is reunited. And yet reading that as a slight on Watson’s ability would ignore that the episode is more broadly committed to fleshing out and highlighting Watson’s character, reframing her “failure” as personal insecurity as opposed to dependence on Sherlock’s genius. Her arrest comes only after her friends stage an intervention, a refreshing sequence that grounds the show as a whole in something approaching reality. It acknowledges that the logic of Watson and Sherlock’s relationship would be strange to a bystander, and that Sherlock’s profession in general isn’t necessarily considered normal outside the realm of a crime procedural. It also establishes that Watson hasn’t just abandoned her entire life to become a character in Sherlock’s world: she has friends, friends she’s been ignoring as her relationship with Sherlock has evolved, and the episode allows this to be her story of self-doubt more than Sherlock’s story of mentoring her. We begin the episode with Joan on the night the woman was pushed in front of the subway, which also happens to be the night she became Sherlock’s sober companion; we end the episode with Joan on the night the woman’s murder was solved, a “TV Facebook Clone” employment status change signaling her commitment to her new path. The converging of the two central storylines in “Déjà Vu All Over Again” is ludicrous, although the episode somewhat acknowledges this. And yet my general rule for convoluted or contrived solutions to procedural mysteries is that there is meaning behind the madness. In this case, I return to the scene where Sherlock visits Joan after her arrest, and she reveals a rather strange belief: if Sherlock had been the one to break into the car to see if the man’s wife’s body was inside, she suggests, then the body would have been there. When Sherlock has hunches, hunches that are driven by the same logic Joan was using regarding the husband, he’s right; when Joan plays on the same hunches, she fails, perhaps because she’s not cut out to be a detective after all. That whole evening, beginning with the intervention and ending with her arrest, is a strong example of how part of a fairly standard element of a crime procedural storyline—the false accusation—can be used to signify something more. When the cases eventually converge, and Joan discovers the incredibly convoluted logic that means her hunch was correct all along, this “modicum of success” confirms not that Joan needed Sherlock, but rather that Joan is not on the wrong path after all. It’s contrived, but in a way that supports a characterization I’m enjoying, and one that’s given Liu more strong material to work with. Elementary’s first season was designed from the beginning to build to a point where Sherlock and Watson could be partners in a more traditional sense, as it was necessary to provide a foundation for future seasons. Although the show has largely stabilized their partnership—there’s no longer a narrative clock—episodes like “Déjà Vu All Over Again” have compellingly avoided the implication that any of their personal or interpersonal conflicts have been solved as a result. While Joan may be more committed than she was before, that doesn’t mean she doesn’t still harbor some level of self-doubt; similarly, Alfredo may suggest Sherlock is doing well, but that doesn’t mean he won’t struggle if—or rather when—Moriarty resurfaces. Their partnership may now be “Facebook Clone Official,” but there’s an effective tension to their relationship and to the show’s overall conceit that will work in its favor as it moves toward the season’s conclusion. So, to recap: Dude is so desperate to murder his wife that he orchestrates the murder of another woman so as to make a previously existing Dear John video letter apply to the time of the first murder. Right. It was nice to recognize two Wire alums—Jim True-Frost and Andre Royo—as they popped up in the opening credits and then discover that neither of them were the murderer. It was less nice to discover that Prez was a creepy stalker, but that comes with the crime procedural territory. I haven’t talked much about Sean Callery’s score in these reviews, but I did like how he amped up the violins a bit during Sherlock’s interrogation of Royo’s street performer. The show hasn’t forgotten about Sherlock’s deal with his father from back in “A Giant Gun, Filled With Drugs,” so there’s a justification for keeping his presence in the series until we finally meet the man. Clyde Watch: I will admit I wasn’t paying particularly close attention to the background while taking notes, but I certainly would like to not have to play “Where’s Clyde?” and have him play a more prominent role in scenes around the brownstone.